Our firm handles legal matters in the following practice areas: Taxpayer Representation, Tax Litigation, and Tax Consulting. Our primary focus involves resolving tax disputes with the Internal Revenue Service, the Minnesota Department of Revenue and the Minnesota Department of Employment and Economic Development. Our work on behalf of taxpayers ranges from representing taxpayers in the courts including the United States Tax Court, United States District Court, Eighth Circuit Court of Appeals, and the Minnesota Courts, including the Minnesota Tax Court and the Minnesota Supreme Court. We have also represented taxpayers in administrative hearings before the Minnesota Department of Employment and Economic Development. Of course, a court room trial is the last resort after all attempts to resolve a tax dispute through negotiation have failed. The vast majority of tax disputes can be resolved without resort to a court room trial. 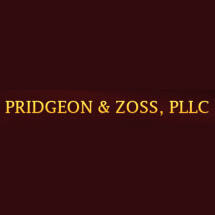 The attorney for this law firm is Mark A. Pridgeon. His qualifications and experience are set forth on the Attorney's page. To briefly summarize, he has practiced as an attorney for the Chief Counsel's Office of the Internal Revenue Service, worked as a senior manager in two large accounting firms and represented taxpayers with tax difficulties since 1990. In 1992, Saree Olson joined the firm as a paralegal, legal secretary and office administrator. She has worked with clients on countless financial statements for Offers in Compromise, Installment Agreements, and also works with Mark on litigation and appeals.